Have you ever wanted to take a photo that looks like this? Well now you can. Ontario photographer and colleague Don Johnston offers tours on tundra vehicles for photographers eager to capture images of polar bears without disturbing them. 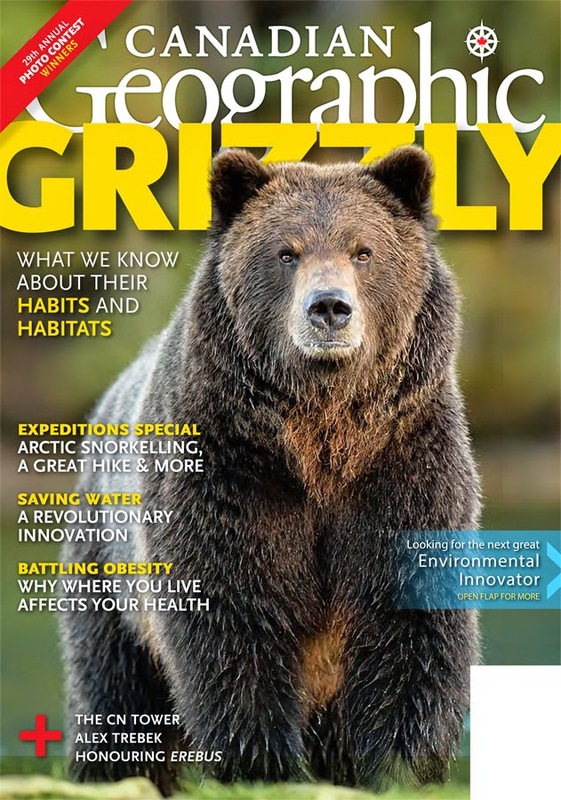 I used one of Don's grizzlies for a book cover last year, and now this beauty has appeared on the cover of Canadian Geographic. To see more of Don's incredible wildlife and nature photography -- and to learn more about polar bear expeditions -- go to www.donjohnstonphotos.com.